“Practice makes Perfect!” Growing up I heard this phrase often spoken. It seemed to sum up everything there was to becoming a fine player or athlete. So, I simply accepted this in its most logical and simplistic form. Practice my instrument and I will become perfect at it. Well, after thousands of hours in high school spent practicing and playing, I was faced with the truth that I wasn’t perfect. Sure, I had some abilities that others who did not practice lacked, but perfect? Well, no that was not the case. In fact, I was confronted with the reality that the more I practiced and learned, the further the end goal of perfection slipped away on the proverbial horizon. How could this be? Maybe I hadn’t practiced enough yet? Well, it’s actually much simpler than any of that. The truth is, to make perfection your goal is actually setting an impossible and unattainable goal for any person on the planet. There are a couple of reasons for this. First of all, there are no perfect people on the face of the earth currently. If I recall, there was only one that was perfect and we are not Him. An imperfect person cannot create perfect things. Second, Can anyone tell me or show me what “perfect” sounds like? It would take a perfect person to demonstrate what perfect sounds like. Sorry, but this is not going to happen this side of heaven. So why are we practicing to make perfect when we don’t even know what that is? Yet, we can observe that practicing something can result in improvement. Notice I said “can” and not will. I’ll get to that later. Perhaps over the years of growing older and understanding how things really work, I have altered my approach to the old adage “practice makes perfect.” Nowadays I refer to this process more like this; Purposeful Practice Produces Permanent Positives. The five “P’s” of practicing. Well it might be a little cliché but it makes a lot of sense when you break it down. Let’s do that. The first “P” in our newly established mission is purposeful. Practice time should be a conscious and deliberate pre-planned task every day. This should not be a time you try and squeeze into an over-booked schedule. It should not be a light-hearted jam fest that consists of a pieces of exercise or songs from your favorite books. If you are studying with a teacher, they will have outlined a very specific routine. If you are tackling this on your own, do some research on developing routines that can change with your development. If long term lessons with a pro are not possible, it may be a good investment to meet with a professional and pay them for a couple of hours of their time to help you lay out an individual plan. Make sure you have a place to go where you will not be interrupted by anyone while you are practicing. Turn your phone off, shut off the computer, TV, radio, etc. You need to eliminate as many outside world distractions as possible to allow your mind to focus on the task at hand. Quality over quantity. This might be a good phrase to print out and tape to your music stand. In order to maximize the results from one’s practice time, you must focus on the quality of the material and attentiveness rather than simply putting in hours of time. One personal example of this is when I was younger my daily routine consisted of a 50 minute warmup before school began, then concert band for an hour, orchestra for another hour, two and half hours of jazz band after school and practicing at home every night from 7-10pm. A total of 7 + hours a day between ensembles and practice time. To no surprise, I was able to accomplish some decent skills. However, picking my horn again back up in 2009, I have refined my practice and have been able to accomplish a great deal more in just 1-3 hours per night. It matters too what material you practice. Materials need to cover all aspects of playing from flexibility to technical and range. The goal should be to develop all of the skills necessary to become a well-rounded musical player. You get what you pay for. Everyone is different and will advance at different paces. Results come at different intervals too. Some early progress from this approach may seem to come quickly on some skills and more slowly on others. Do not be discouraged. Stay focused on the fundamentals of playing the instrument. I have found many times the day or two before a big breakthrough are awkward or sometimes bad practice days. It is an indication a change is happening. Stay committed and patient. Quality and deliberate practice time will produce positive results! An interchangeable word we could also use here is “consistent.” Consistency is at the core of the “why” we practice. We want to be able to deliver a high quality product no matter if we feel sick, or had a bad day or are distracted by environmental challenges. We want to develop fundamental skills into a reflex that your subconscious mind can deliver in any playing situation. Mark Van Cleave talks a lot about this in his books. It is very similar to why soldiers train so much for battle. When they get into a stressful or scary situation, their reflexes, which have been fine-tuned by extensive training, take over and get the job done regardless of how they feel. Focused and purposeful fundamental practice allows the brain to learn how to deliver the desired results repeatedly. Achieving this is rather freeing because it then allows one to focus on performing great music with all its nuances and not think about the mechanics of how your machine (the trumpet) works. This leads us to the final “P”; Positives. We all enjoy playing well. Like the feeling you get after a great round of golf! Most people don’t really look forward to practicing. Its hard work no doubt. But, hard work often has blessings one can never realize unless we put in the time. There is no substitute for time on the face! I can assure you the rewards are like gold. The feeling of joy and accomplishment that comes with earning a new ability is exciting and very encouraging. I am not a professional trumpet player by far. However, I can tell you seeing the improvement and then being able to play in ways I never thought possible is like a drug or a runners high. It drives one to a deeper passion for music and fuels the desire to achieve more. So what does all of this sound like when it all comes together? Well, I have added a link below to give you an example. I am not including it to show off or brag about anything. It is an illustration of how consistent and deliberate fundamental practice can produce a level of consistency we should all be striving for. Let me give you the back story on this clip. It was recorded a few years ago during one of our Christmas programs at church. Each year at Christmas and Easter our church performed an hour long program for both the first and second service. This particular clip was taken from the program called “The Story.” The passage comes in on a sustained high E to High D. That year the director chose to repeat this particular song for the offertory as well so we had to play it four times between 9AM and 11AM that morning. You will hear four clips on the recording; first service, first service offertory, second service and finally second service offertory. I don’t particularly like to play in the morning which created a challenging situation where the training kicked in. Enjoy! See you in the practice room! Jeff Beights began playing the trumpet in the fifth grade. By his senior year in high school, Jeff had received awards throughout Indiana and Michigan for his Lead trumpet and solo performances. To the surprise of many, he put the horn away in the spring of 1988 to study at Ball State University’s College of Architecture and Planning. After graduation in 1993, Jeff went on to start a successful Information Technology Consulting Services company in Indiana. In 2009, after many years away from the instrument, he started playing again. Jeff Beights is currently studying with Certified Claude Gordon instructor Bruce Haag. 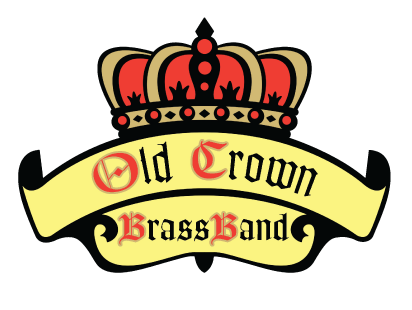 He is a current member of Old Crown Brass Band.